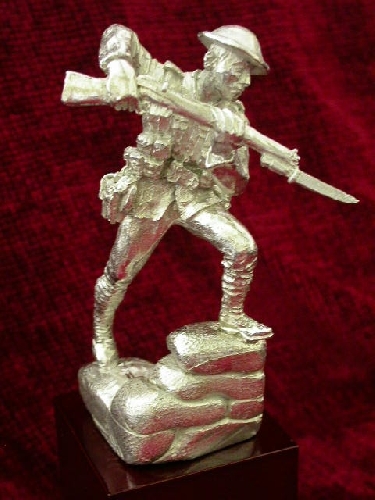 Excellent cast sculpture of a First War soldier bayoneting over a parapet. 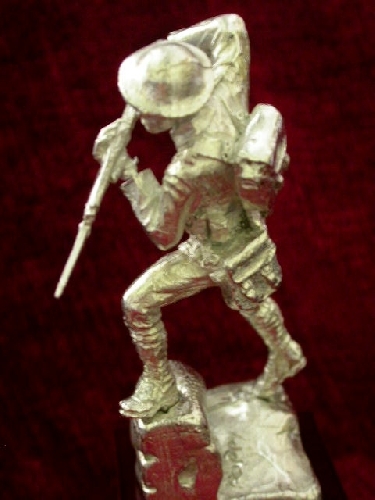 The whole is cast in solid pewter and is available in polished pewter or plated and bronzed. 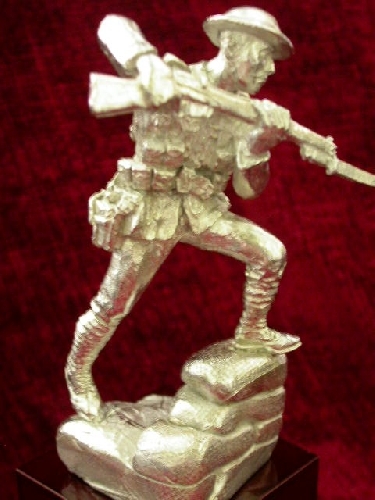 Standing at approx 105mm high alon on our laquered base this is approx 160mm high. We are able to personalise with text or pictures the bases of the plinths-please enquire.